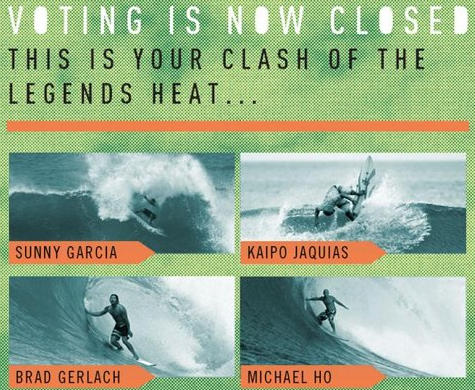 After a public vote to determine the final three contestants, Michael Ho has been granted a spot in the “Clash of the Legends” heat at Haleiwa during the first event of the Triple Crown (the Reef Hawaiian Pro). After automatically including last year’s champ Sunny Garcia, Reef decided to let the public vote in what legends they wanted to see surf in the event. Along with Michael the two other surfers in the heat are Kaipo Jaquias and Brad Gerlach. The contest starts November 12th. Tune in at VANSTRIPLECROWNOFSURFING.COM/REEFHAWAIIANPRO2013 to watch Michael and Mason (who’s in the main event).